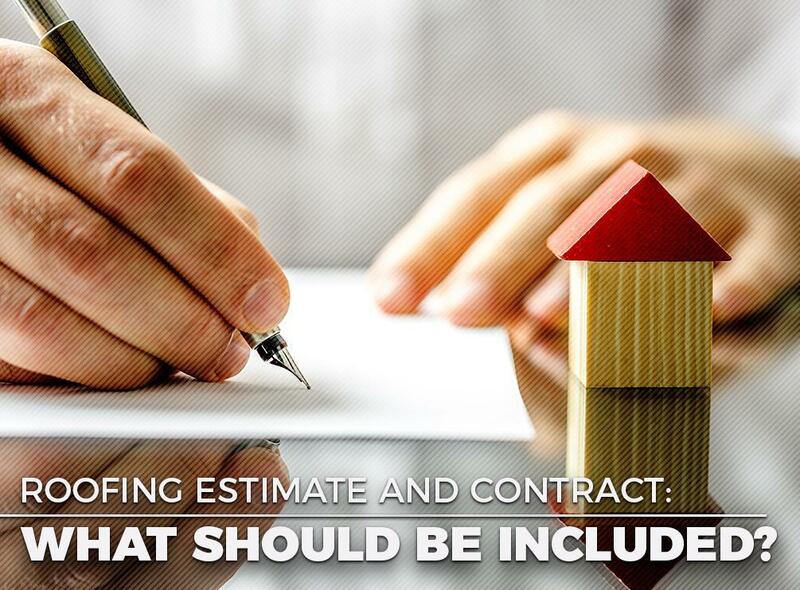 ERoofPro > Roofing > Roofing Estimate and Contract: What Should Be Included? Project Overview. This should specify the team that would be handling the job. This lets you know who to approach if you have concerns. Approximate Timeline. It’s important to know how long your project will take to make the necessary preparations. Clarify possible issues that can add to the duration of the job so you can adjust your schedule accordingly. Costs. Apart from the materials and labor, your contractor should inform you about the costs of securing any permits your area requires. They should also mention related costs for tearing off your old roof and cleaning up your property. Materials to be Used. Your roofing estimate should indicate the type of roofing material, flashing, ventilation and underlayment to be installed. It should also mention the warranties that come with the products. Proof of Licensing and Insurance. These credentials will protect you from liabilities in case of accidents. Once you’ve chosen a roof proposal and are ready to make a hiring decision, you and your roofer should sign a contract. This serves to back you up if conflicts occur during the project. While its content is a bit similar to an estimate, the difference is that it should be highly specific. Your contract should indicate the payment terms, including the down, progress and final payments. It should also explain the details regarding the installation methods and the safety measures your roofer should take. Lastly, it should exhibit the termination clause, which lists the reasons either side can end the agreement if the terms are violated. When you use ERoofPro, a free roof measuring tool, you can acquire proposals with straightforward pricing. It will help you connect with reliable contractors in your locale so you can start on your project right away. Call us at (844) 881-9444 to learn more about its features.